Born in Spain, Patricia Urquiola now lives and works in Milan. She graduated in architecture in 1989 having done a thesis with Achille Castiglioni. Between 1990 and 1996 she worked for the New Product Development office of De Padova and with Vico Magistretti signed the products: Flower, Loom sofa, Chaise and Chaise Longue. 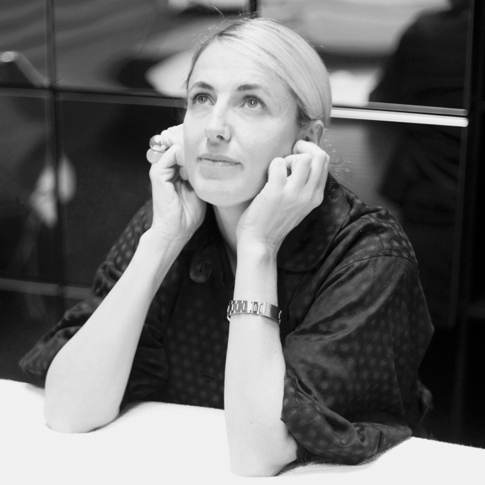 In 1996 she became head of the Lissoni Associati design group, working for Alessi, Flos, Boffi, Cappellini, Cassina, Kartell, and others, and in 2001 she launched Studio Patricia Urquiola in Milan and today works between architecture, interiors and furniture for groups including B&B Italia, Kartell, Foscarini and Moroso.